Welcoming fall with this polka dot shirt outfit here. 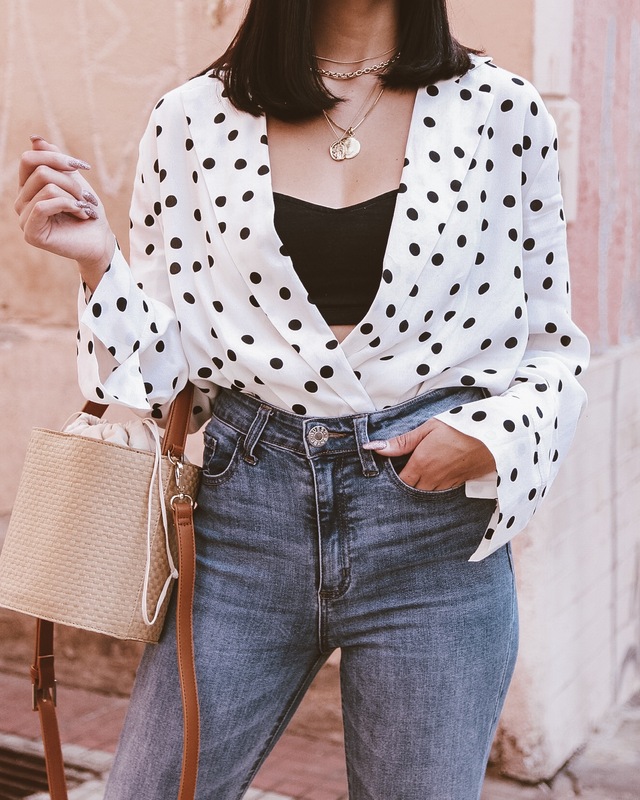 Tucked into Guess jeans is this adorable polka dot shirt. It is from Renner, and is such a sweet and almost flirty top with the laples, slouched crisscross open front, and flowy sleeves. It is light and won’t make you too hot, but is enough to keep you from getting a chill making it a perfect fall top. Matching the polka dots are black Gucci slip on shoes and a black hat. The neutral bag has a fun texture (which compliments the look nicely) is from Forever21.